The revenue for the personal injury lawyer and attorney industry is set to reach $35 billion by the end of 2019.This is because more people are standing up for themselves and going for the compensation they are entitled to. However, there are still many who do not pursue legal action even though they could have won a lot in damages.If you have been in an accident but are unsure if you should reach out to a lawyer, then these are the main signs that you should. For all the people you hear complaining about their pains there are often far more who keep it to themselves.Most people do not want to be seen as weak or be a burden on other people. So, they ignore their issues and try to move on.This counts for both physical and mental damage. Some people who have been in car accidents become terrified of driving and are unable to commute to work.If your injury has reduced your ability to work or live, then you need to speak up and get help. If something happened that was not your fault and changed your life forever then it is very likely you can successfully make a claim.It does not have to be something serious or life-threatening. For example, if an accident leaves you unable to fully extend your finger then that still affects your quality of life.If what happened to you is irreversible then a personal accident lawyer may be the way to go. The reason we have regulatory bodies is to ensure a minimum standard of safety in the products we buy.Sometimes, companies overlook certain defects or faults and hope nothing will go wrong. Other times, they use low-quality parts that get past inspections but do not last very long.If your injury is caused by something like a car bumper falling off or a machine not working correctly then the company who made it could be liable. Dashcams have become more popular over the years for this exact reason. Before, car accident claims relied on witness accounts and inferred evidence from crash experts.But with a dashcam, you can use the footage to prove your innocence and guarantee compensation.If you have videos, texts, or reliable witnesses who can testify on your behalf, you will have a solid case. When the accident just happened to you or involved one other person, then things are usually straightforward.However, when many people were affected, you never know who is going to claim what. In these situations, you may find yourself being sued for your role in the damages caused even if you are suing someone else entirely.These situations are complicated and messy; a personal injury lawyer can help protect you from cases against you and even countersue if the evidence allows it. Sometimes after going through something traumatizing we need to take time off to recover physically and mentally.In these situations, the last thing we want to do is deal with legal proceedings when all we want is to get better.However, because of the statute of limitations, you only have a specific period of time where you can legally file a claim. Depending on the state, this can be anywhere from one year to six years.Look up the duration of the statute of limitations in the state where the accident occurred. You may be running out of time to get the compensation you deserve. Let’s say an accident was your fault and required you to go to the hospital. While being treated something happens which causes your condition to get worse or creates a new problem altogether.Medical negligence can and does happen. While you cannot sue someone for a small mistake, you can certainly make a claim if they were lazy or missed essential steps in your care.In these instances, you are in a strong position to make a claim for damages to help cover your medical bills and any other problems that arose because of it. 8. Had Someone Else Been Drinking? One of the leading causes of accidents comes from excessive drinking.If you suffered an injury because someone else was intoxicated, then there is already a strong chance you can successfully make a claim. Of course, for this to work, you need to be able to prove the person was drunk or rely on witness testimonies to support you. Receiving money from insurance companies is like trying to draw blood from a stone.Despite existing to cover you if something happens, most of the time the company will do everything possible not to pay. Many insurance companies have expert lawyers and teams dedicated to finding loopholes not to pay.Personal injury lawyers also know the law and are adept at dealing with insurance companies. They can help by going through your contract and finding iron-tight reasons you are entitled to compensation. Many personal accident lawyers offer a ‘no win no fee’ contract and even provide free consultations. If you decide not to use a lawyer, you will still need to pay to file with the courts, pay administration costs, as well as any other expenses like expert witnesses or finding information.In these instances, the lawyer will only take the case if they think they can win. That means they are willing to spend their own time and money on your case.Having a lawyer on your side means you have someone in your corner who is fighting for you and also driven to get compensation as well. If they win, sure, you pay them a fee, but then all of your expenses will likely be covered as part of the win. 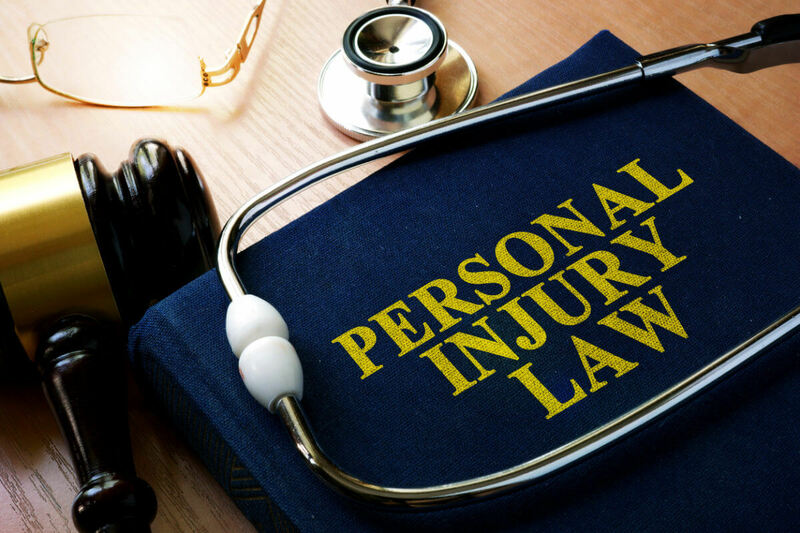 Many things happen after you suffer an injury and as mentioned above, legal proceedings can be the last thing you want to deal with.If you hire a personal injury lawyer right away, you can take time to recover while also knowing the legal stuff is being taken care of too.Equally, the lawyer will know exactly what evidence and witnesses the case will require. These are all much easier to gather the closer to the incident.If these reasons resonate with you, check out our personal injury services and see what we can do for you. More blog articles coming soon about litigation, real estate law, personal injury attorneys in Omaha and more!